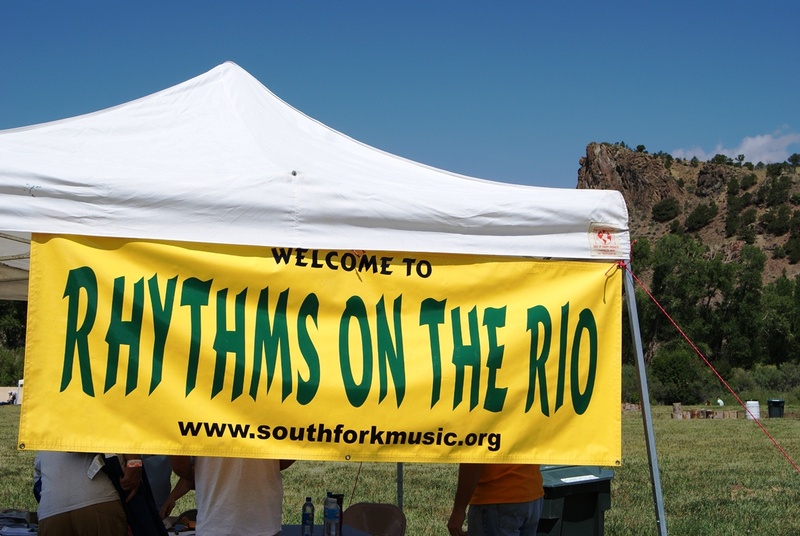 The campground was filled with the sounds of mandolin and bass into the wee hours before the Rhythms on the Rio festival officially opened. The Scrugglers kept us early campers warm at the huge community fire in the middle of the campground. It had been wet enough that a tall blazing fire was a welcome sight and not something to make folks nervous as it had been earlier in the season. After a hearty breakfast at the Feelin Good Café, official caterers for the performers at the festival, I grabbed my gear and set up inside the sound tent, in full view of the stage. Blake Hemmertz wrangled his huge soundboard and equalizers all day and into the evening, seamlessly moving from solo performers to multi-personnel power groups to acoustic trios to plugged in roadhouse rock bands and back again. The man is a wizard! Kicking off the festival, the Concords showed off their chops with classic rock covers. The four-piece band is composed of local high school students, growing up with their music. Their lead singer, Matson Pruitt, is now a freshman in college. He’s got strong, versatile pipes that allow him deliver tunes like “Bad to the Bone,” “All Right Now,” “Wild Thing,” and “Radar Love.” He also played a mean lead guitar on a few tunes. Sage Gentry, the bass player, is solid. With more experience, he’ll get more creative. Sumner Erhardt, the drummer, drives the band and keeps them on track. Steven Delavega, the guitarist, is also a songwriter and The Concords showcased one of his tunes, an innocent 50’s rock love song. Up next was The Scrugglers from Durango. 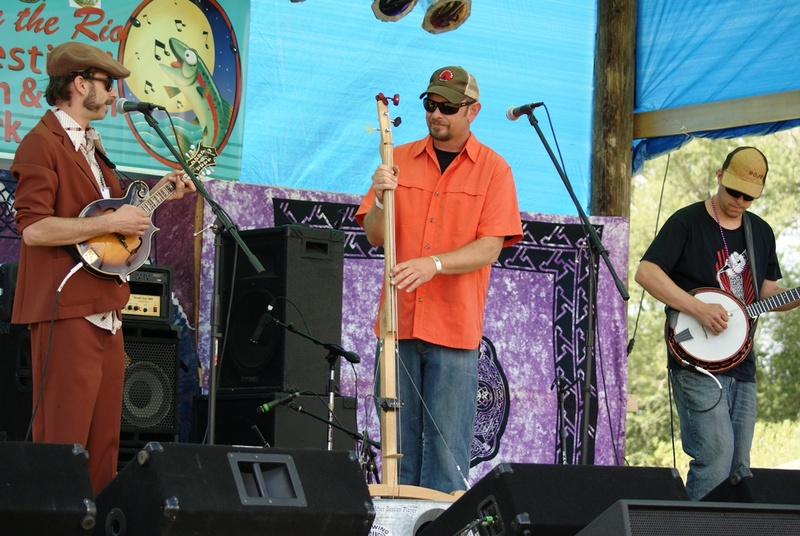 The trio consists of mandolin, banjo, and a homemade washtub bass. These guys are instrumentally tight. They traded lead vocals throughout their set, adding harmonies. The voices are very distinct, which sometimes makes the vocal blend difficult. However, when Steve Labowskie, the bass player, got into the bass vocals of “Bottom of a Hole,” the counterpoint singing from his bandmates gave the song a moody, almost creepy feel. 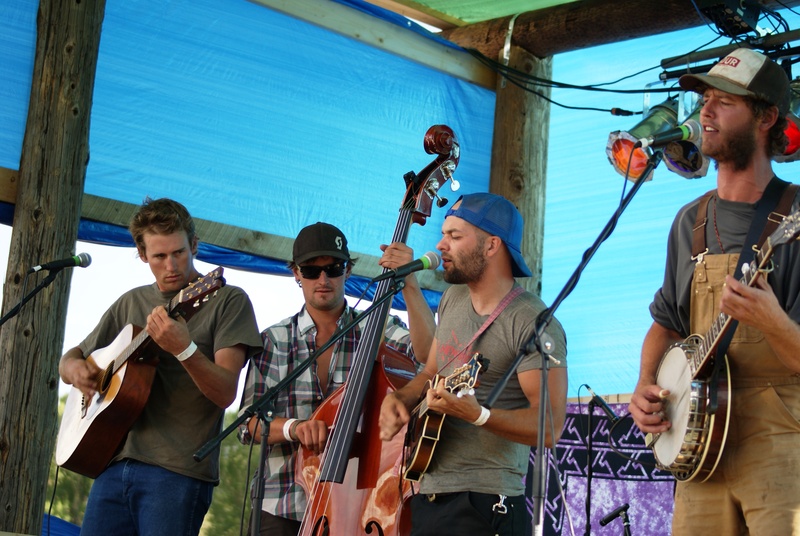 Todd Webster, the mandolin player, carries the energy of the band. Dressed in a cinnamon colored polyester suit with a funky racecar hat, he set the tone for the non-traditional feel of this bluegrassy trio. They were labeled jamgrass, but that’s not quite true. The do indeed reinvent bluegrass and old time music but they don’t quite twist it enough. However, their delivery and choice of material were fresh and always unexpected. I really appreciated their bow to Jerry Garcia in their renditions of the traditional tune “I Know You Rider” and the Buffalo Springfield song “Kind Woman,” both of which Jerry recorded. The Scrugglers brought out the dancers. Ironically, these early dancers and those later in the day, were not young people, but older folks, who are into the music. In fact, though this festival is geared for families (and, yes, there was local beer for sale), the majority of the crowd was older, not the college age crowds I’ve seen at other festivals. But these music fans came out, knowing about the music and could go toe-to-toe with any music journalist on song references and band details. The next act was an absolute pleasure to hear. 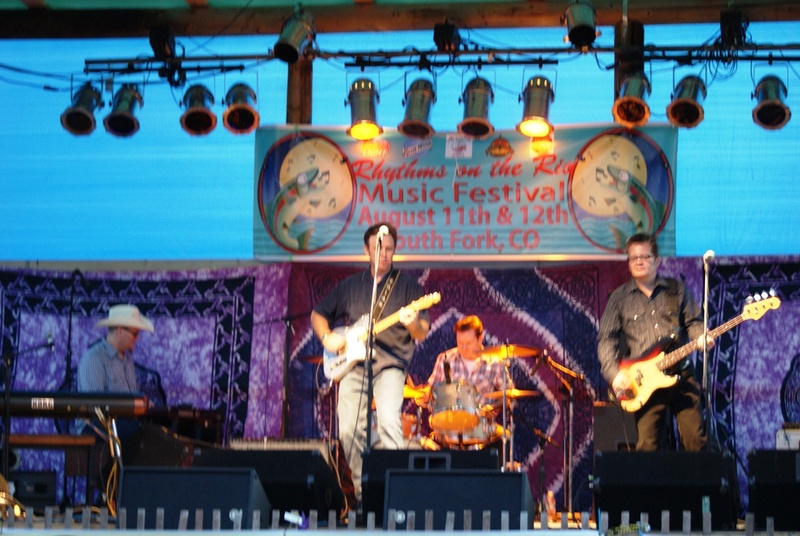 Chuck Pyle is a prolific songwriter who has written for by John Denver, the Nitty Gritty Dirt Band, Suzy Bogguss, and Chris LeDoux. His song, originally titled, “Other Side of the Hill,” was covered by Jerry Jeff Walker who called it “Cadillac Cowboy.” Chris LeDoux picked it up and pushed into a big hit. His music is also a favorite of Bill and Melinda Gates who’ve asked him to perform at exclusive house parties in Seattle. 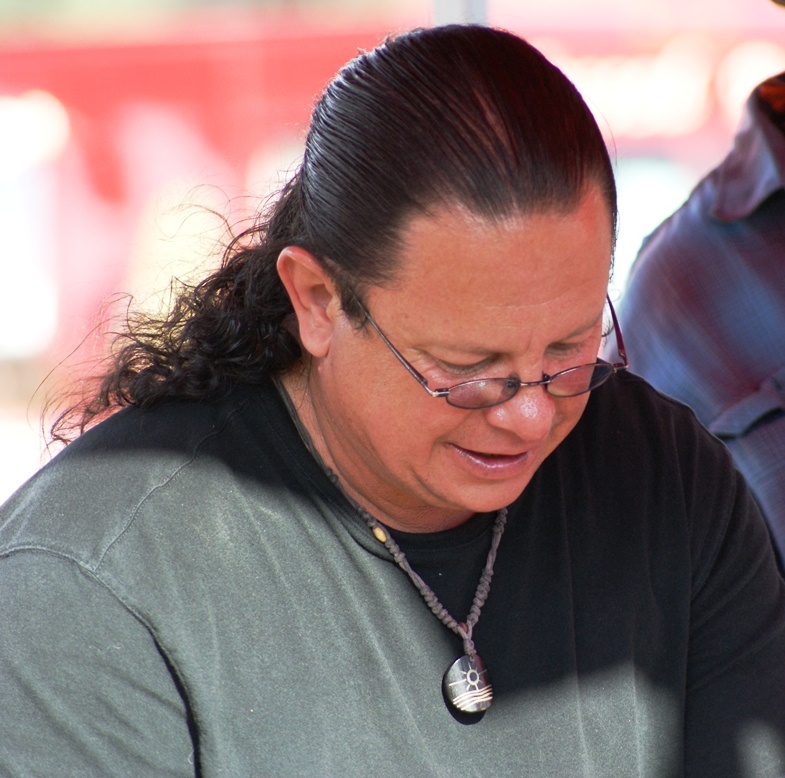 Known as the Zen Cowboy, Chuck’s songs often have a spiritual element with a western feel. His voice is just the right register, mid-range, that flows over his lyrics that are always noteworthy. A humble, unassuming man, he writes songs that have depth but are grounded in practical cowboy wisdom. I especially enjoyed “My Grandpa’s Hands,” “Spirit of the Endless Skies,” his Colorado song, and what he calls his Wyoming song. Sometimes, Chuck dropped into recited cowboy poetry, waxing eloquent about the open range, wide skies, and stars, before a song. His guitar work is crisp and intricate, often with a Chet Atkins feel. He has cultivated it into his own unique style and often does guitar workshops for it. Following him, CMA award-winning songwriter, Susan Gibson, took the stage. She wrote the blockbuster hit “Wide Open Spaces” for the Dixie Chicks. 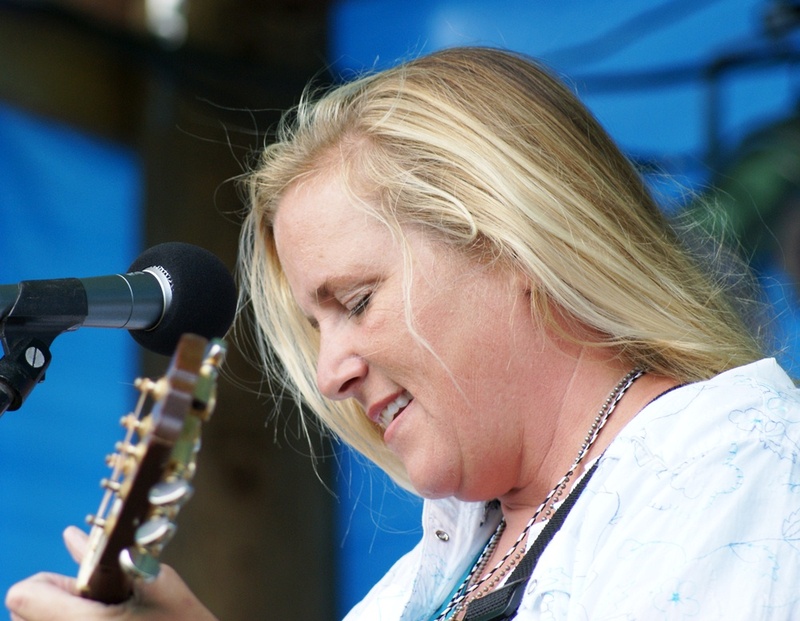 A strong singer and guitarist, Susan delivered an intimate but powerful set. She offered her hit song but it was in a mix of other songs from her four CDs about life and relationships. Apologizing for what she thought was an overly sentimental love song, she launched into “Cloud Nine.” It was nothing to apologize for. The song was strong, about fighting true love but giving in, singing, “If I’m going to be in love, I want you in it.” Practical and certainly not overly schmaltzy. Her “Together Strong,” co-written with Randy Scruggs and Jack Saunders, absolutely blew me away. It was a song about a man (an oak) and a woman (a cedar) living close together, who could have strangled each other but were actually stronger because of each other. Other songs, “Perfect World,” “You Came Along,” and “Tight Rope” were equally strong. She brought out a banjo for “Chin Up,” a song about failing the Presidential Fitness Test in third grade, but had implications about how she viewed life from that point on---keeping her chin up. Susan Gibson was a rare treat. The next band, The Mojones, from Creed, upriver from South Fork, changed the pace. This six-piece band cooked! Hands down, cooked with green chili and andoui! They kicked things off with songs from Willie Dixon and Tab Benoit. Their version of Dr. John’s “Gilded Splinters” just killed it---it was smokin’! They dropped into originals that were a combo of blues, soul, with a touch of hip-hop. The Mojones had everyone up dancing! Even when they dropped into slow blues, couples got up and felt the love. The band has been together for a couple of years, playing locally. Their sound is driven by a drummer and a percussionist who combines conga and bongos. Recently, they added a guitarist/bassist who also is a songwriter and a luthier. Vocals are handled by a power singer who nails every song! Heading into the evening, Waiting on Trial, a four-piece traditional bluegrass band from Durango, offered dancers a different rhythm. These guys not only are tight instrumentally, they have some of the best three-part harmonies I’ve heard in a long while. Smooth as silk, these voices trade leads and are capable of enhancing each other. Waiting on Trial did a lot of originals, along with some bluegrass standards. Closing out the evening, The Derailers from Austin TX brought their roadhouse rock to the stage. 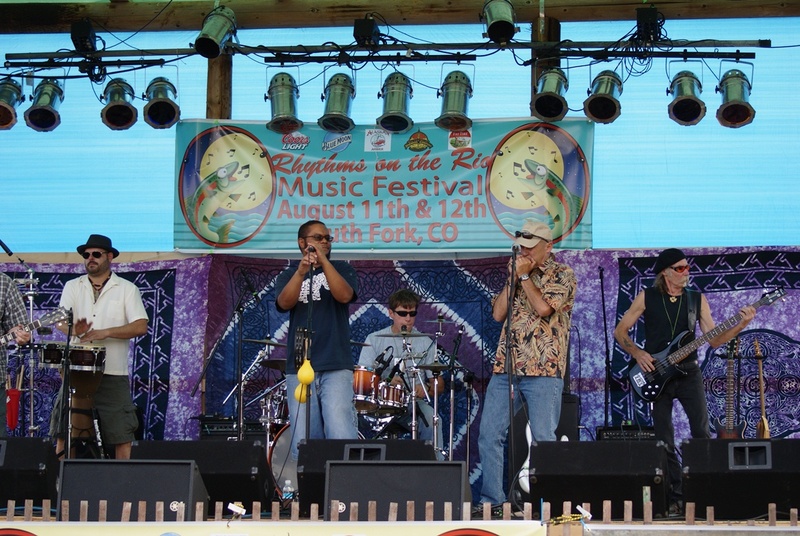 They boogied for over two hours, bringing their versions of rockabilly classics and their own originals. They dipped into Jerry Lee Lewis, boogie woogie, Texas two-step numbers, and red dirt favorites. From a glimpse of their press photo, I expected new country, but these guys dropped the suits and came out in comfortable shirts and nailed the roadhouse rock. I felt as if I had been transported to some honkytonk a few decades back and were watching legends being born. Well, The Derailers are legends of their own kind. They will be back Sunday afternoon and I can’t wait! The evening closed out with The Scrugglers in the campground around the fire once more with the addition of some hand drums. It was a comforting sound to close my eyes to, a most welcome end to a great day of music.